McWades Landscapes is a well-established Landscape Design & Garden Maintenance company, based in the Durban North, Umhlanga, North Coast and Mount Edgecombe regions of KwaZulu Natal. We offer a one-stop-shop for, inter alia, landscaping, general garden maintenance, specialized lawn care, irrigation maintenance as well as tree and rose maintenance. 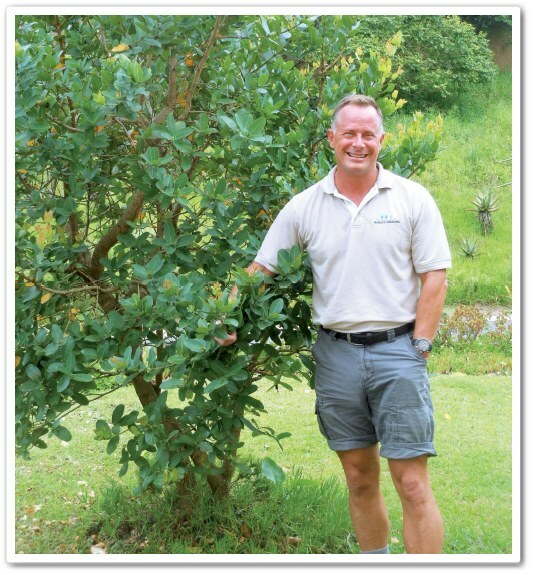 The company was formed in 2010 when we won a contract to maintain the trees and control alien invasive species for the two golf courses forming the Mount Edgecombe Country Club. Over the years we branched out into domestic, corporate and body corporate garden maintenance, landscaping, smart irrigation systems, tree care and felling as well as weed spraying programs, pest control and specialised lawn care. More recently, with the purchase of a twenty year old business, KGB Nurseries, we are proud to add rose maintenance, supply and care to our bouquet of services. Even more recent has been the addition of a water conservation team which works hand in hand with the need for irrigation when maintaining beautiful landscapes and the need to conserve water in an ethical manner as our country battles the effects of drought. Gardens often represent a major investment on the part of both homeowners and corporate customers alike and this affects, amongst others, property values as well as the environment. The supply and installation of quality grey water systems, waste-water treatments, rainwater harvesting, on-demand pumps and smart irrigation controllers is critical in this quest and we are proud to have been appointed distributors of the Green IQ smart irrigation controller, which is a technological break-through in terms of saving water and the associated costs. We are proud members of SALI (the South African Landscaping Institute) which promotes professionalism and quality in landscaping and garden maintenance. SALI was formed in 1984 by a group of landscapers who believed that the true potential of the landscaping industry could only be realized if landscapers showed unity, produced excellent work and worked with professionalism and integrity. SALI consists of a vast network of members, principal and suppliers, throughout South Africa who are guided by the SALI Constitution and Code of Conduct. SALI members endeavour to improve the standard of the landscaping industry by adhering to the Minimum Specifications laid down and by doing so ensure clients get increased value as well as professionalism they can trust. Over the years, McWades Landscapes has won countless Trophy, Gold, Silver and Bronze awards for, amongst others, excellence in the fields of: landscaping with design by others, landscaping with in-house design, landscape and turf maintenance, specialised landscape construction, landscape construction as well as the SALI trophy award for best landscape and turf maintenance in 2016.